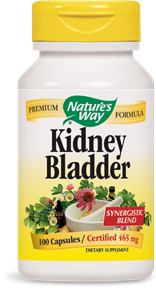 Kidney & Bladder function are essential to healthy and proper waste elimination by the body. Take 2 capsules three times daily, preferably with food. Increase the amount of fluids taken throughout the day.